Stores reference 27C/2058. 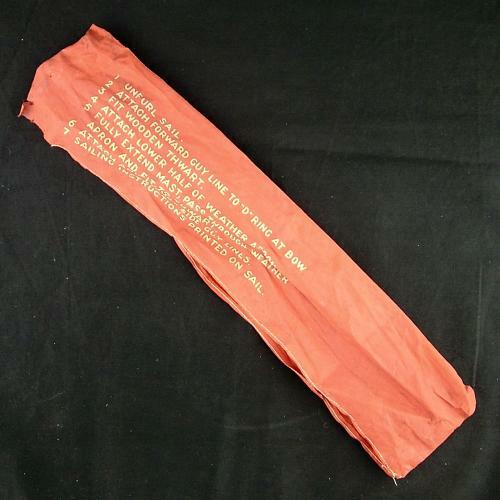 Red cotton 'pouch' used within the dinghy pack to contain the mast and sail. Printed with basic instructions for use. Light soiling and wear with a few small holes. Marked with reference numbers and inspection stamp. It doesn't look much but is incredibly rare! Complete your pack now. Stock code S23329A.